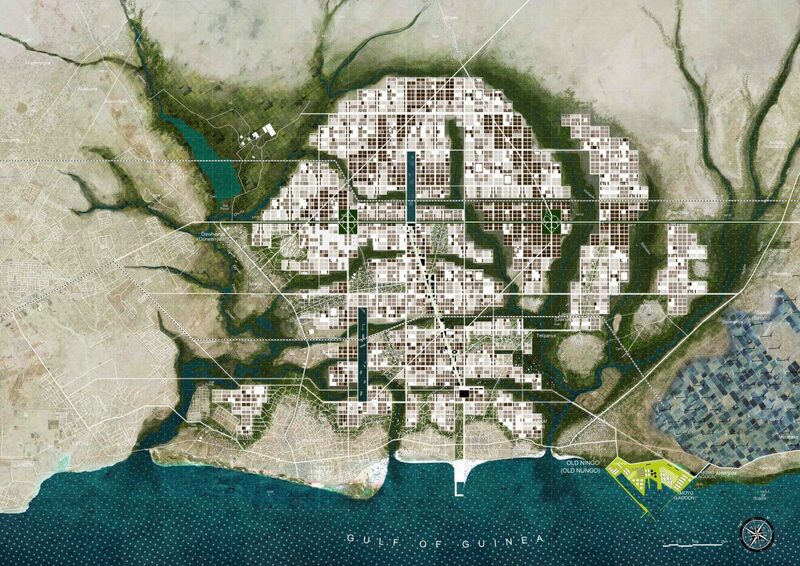 In collaboration with a wide network of specialized partners, FABRICations developed a plan for a massive urban expansion in the coastal villages of Ningo and PramPram (Ghana). The project, commissioned by UNHabitat, provides a sustainable infrastructure for 1.8 million inhabitants in the fast-growing Accra great urban region. The new system is designed to prevent the occurrence of the disastrous conditions that are currently affecting the cities of Accra and Tema (Flooding, scarce infrastructure, unhealthy living environment, and lack of resources). 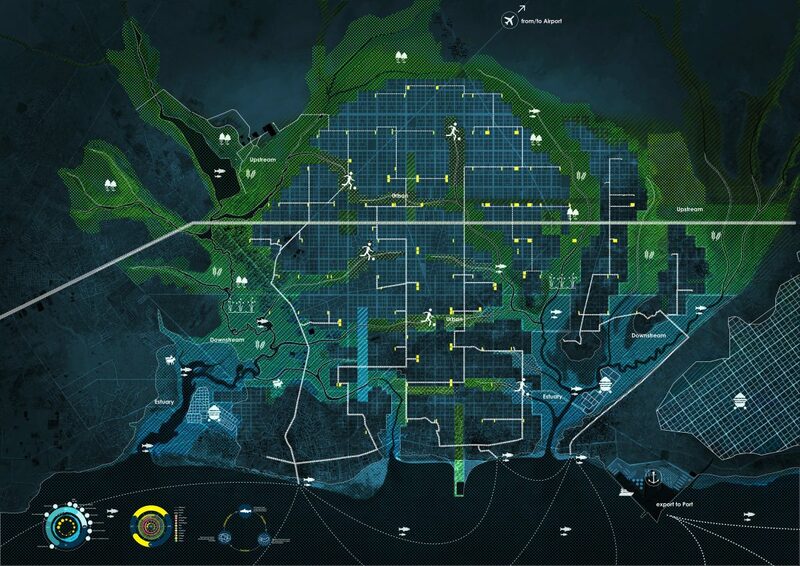 The expansion merges the practice of urban metabolism and circular economies, with very low-tech strategies, capable of channeling a fast and unsupervised growth with simply implementable principles. 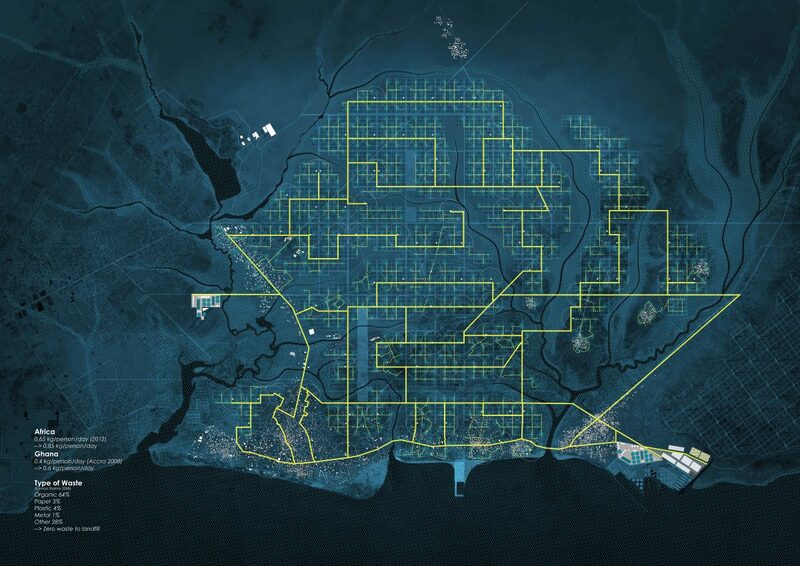 In combination with the main existing infrastructure, a new grid has been selected as a basic urban model. Its simplicity of application and proportional relation that connect different scales of intervention will allow the future metropolis to maintain the social and cultural inclusiveness typical of the African society. 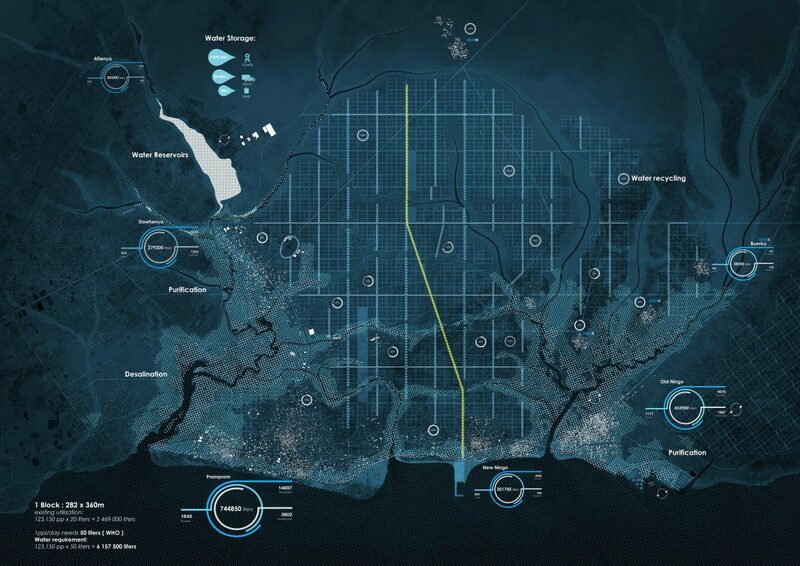 In addition, coastal defense and flooding landscapes have been redesigned to provide a resilient system. They are capable of naturally protecting the city from calamities, and flexibly adapt for food production and leisure in less critical moments. 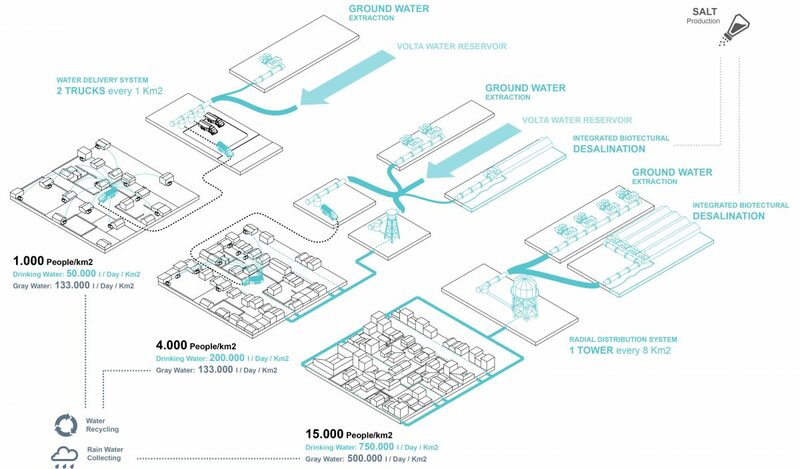 Similarly, the flows of resources (Food, Water, Energy, Waste) have been structured to provide a self-sustaining city in each phase of the development. In August 2016 the Accra great urban region authorities officially approved the Ningo-Prampram plan.